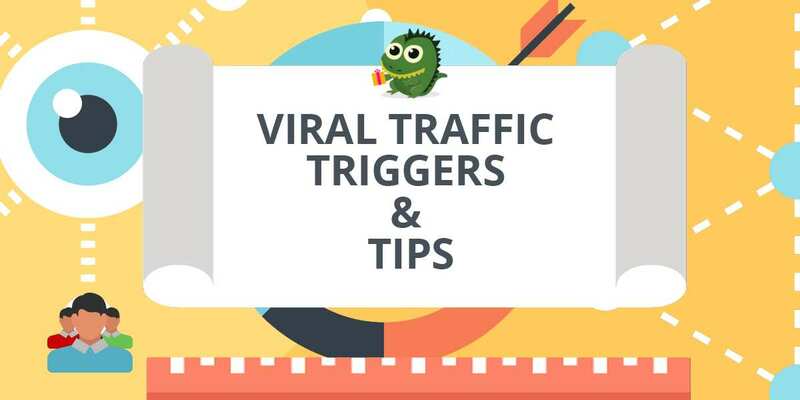 We have collected the 3 key viral traffic triggers that turn prospects and customers into rabid brand advocates who can’t stop talking about your products. Interested in learning more? Think about the normal way you get traffic to your site. I’m betting all that traffic incurs a cost, right? Sometimes it costs a lot of money. Sometimes it costs a lot of time. Sometimes you need to lay out both time and money to get traffic. But here’s the problem… Your time and money are finite. You only have 24 hours in a day. So, if you’re working on a traffic strategy that takes a lot of time, then you’ll be limited to the amount of traffic you can get. Either that or you end up strapped to your desk for most of the day, trying to spend more time just to get a little more traffic. You know what happens? Major burn out. 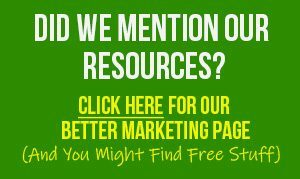 The other resource you can invest to get traffic is money. While it’s a finite resource, it’s not as strictly limited as your time. And when you make a little money with a paid traffic strategy, you can reinvest that money right back into the advertising. I’m betting you don’t have the very deep pockets of a Fortune 500 company. Your overall business budget is smaller. And every month you need to decide how much of that budget to allocate to advertising along with all your other investments and expenses. And if you’re like most small business owners, you’re pulling cash out of your business to pay the mortgage and put food on the table. That means reinvesting profits doesn’t always work. So, you can only get as much traffic as you have money to pay for ad buys… and those ad buys aren’t even necessarily guaranteed to turn a profit. You can see the problems here. When you’re using traffic methods whose ROI is directly related to the amount of time or money you spend getting that traffic, you’re going to be limited in the amount of traffic you can get. So, let’s talk about viral traffic triggers that don’t require a whole lot of time. Using these types of traffic don’t incur an advertising expense and grow exponentially on their own to build your list, increase brand recognition, and drive up sales. Word-of-mouth marketing. Buzz. Referral traffic to name a few. Tell you what, this is some of the BEST traffic you can get. The traffic is very warm. If you place your own ads, then you’re a stranger trying to tell a prospect to come to your site. It’s an uphill battle. It takes a lot of time and money to get decent results. Now consider word-of-mouth marketing. Referral traffic is all about prospects and customers telling their friends about your business. They’re recommending your products. They’re buzzing about it. You can bet this is warm traffic that’s ready to join your list and buy whatever you’re selling! Word-of-mouth marketing grows exponentially. Think about when you do something like pay per click marketing. You bid on some keywords, and you get exactly as many exposures to that keyword as your budget allows. No more, no less. When you hit your budget cap, you don’t get any more traffic. Now consider word of mouth marketing. You put your content in front of ten people. Those ten people each tell three of their friends… who tell three of their friends… who tell… well, you get the idea. In very short order, you can get thousands of visitors to your site – and the traffic keeps growing over time. This is free traffic. You don’t need to pay for exposures, clicks, impressions, visitors or anything else. You just leverage your existing networks to kick things off, and it takes on a life of its own! This is “set it and forget it” traffic. Sure, you’ll want to optimize your landing page or sales pages to get more subscribers and sales – but you’d do that for any other traffic strategy too. What’s different here is that you don’t need to constantly monitor your campaign (like you do for paid methods). Set it, optimize it, done. Your traffic grows on its own, without any further tweaking or input from you. You don’t need any experience or special skill to get referral traffic. Ever notice that some advertising campaigns depend heavily on you having some sort of skill? Search engine optimization is one very good example. You better be an expert, or you’re going to fail miserably.So as you can see, there are a lot of really good reasons to get word of mouth traffic. But the question is… HOW? How do you turn your best customers into your most rabid advocates to build your brand, build your list and build your bank account? They think they can simply put something clever out, and people will fall all over themselves to share it. Guess what? It doesn’t work that way. That’s why a lot of marketers end up throwing a bunch of campaigns at the wall to see what sticks. They have no idea what works. So, they waste a lot of time and a lot of money trying to figure it all out on their own. You see, those who know a little bit about the psychology behind sharing will get a lot more traffic than the average marketer. And those who know the viral traffic triggers of how to incentivize sharing the right way will get the MOST traffic. And that’s exactly what you’re about to discover. 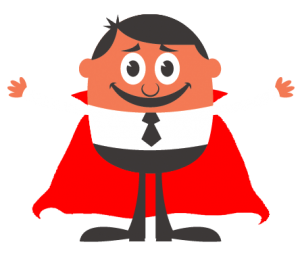 A report, video or other content that shares useful “how to” information will make people feel like a hero. This is especially true if you’ve created something new. This doesn’t need to be completely new. Even just sharing one new twist on a proven method – or teaching an old method in a new way – will be enough to make it seem new. For example, just look at the sorts of tips and other how-to information that crosses your social media news feeds. For example, you’ll often see things such as “how to use coffee grounds to keep pests out of the garden.” People like that stuff because it takes a common item and shares a new way to use it. And people who share it feel like a hero when their friends thank them for the useful information. A discount coupon for a popular product or service. People love getting discounts – and they also like sharing their good finds with others, because it makes them feel like a hero. A link to enter a contest. Again, this is something that people really love, especially if the prizes are good. So, people who share contest links that their friends don’t yet know about feel like heroes. People love sharing and receiving links to contests so much that there are entire forums and social media groups set up just for this purpose! Now in order to make those who are doing the sharing feel like heroes, your content needs to be extraordinary in some way. The “how to” content must be extraordinarily useful and/or unique. You want your users to say “Wow, that is so cool!” when they read or watch the method you’re sharing. The discount coupon codes must really save users money. This is not the time for some skimpy 5% discount. Big whoop. Instead, give as steep a discount as you can, and put an expiration date on it to create a sense of urgency. Likewise, your contest should have prizes that get people excited. No one is going to share a contest if entering the contest isn’t worth the prize package. Make it good, and you’ll get lots of entries because people will tell their friends. Yes, people feel good when they feel like a hero. But there are other ways to make people feel good. For example, sharing something inspiring, heart-warming or uplifting makes people feel good about sharing the content. People feel good when they can make their friends laugh, so something truly funny often gets passed around like crazy. But the trick is that humor is subjective. What’s funny to one person isn’t funny to another. Indeed, what’s funny in one culture or niche may be totally offensive to another. So, before you attempt to create something humorous, be sure you REALLY know your audience! People LIKE feeling superior to others. And they like when something makes them look sophisticated, smart, hip or any other positive attribute. Point is, if you can create something that makes your sharers feel superior in some way to others, they’ll share it like crazy. This might be something that is so unique, it makes everyone who looks at it say, “WOW!” It might be a piece of information that’s really clever. It might be little-known information. It might even be a feel-good story that makes the sharer look kind or compassionate (e.g., a story about rescuing dogs). And you know what? Sometimes people will share this sort of information just because they are the first in their circle of friends to do so. Being “first” makes them feel superior too. 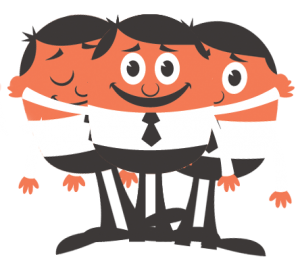 Any of these triggers that make someone feel superior will boost your word of mouth traffic. Still another reason people share content is because it matches their own worldview. And in doing so, it helps their friends understand them better. Another example are political posts. People who share them, especially if they comment on them, let their networks know where they fall on the political spectrum with regards to an issue. For example, someone in a self-defense niche might share a story about gun control, along with their feelings about that story. To show others in the tribe that, “I’m one of you.” It’s like a secret handshake among people in a niche. For example, you might have an article titled, “10 Things Only [Insert Niche Group Here] Will Understand.” The niche group might be marathon runners, online marketers, dog owners, parents or any other group. This goes back to something mentioned a few moments ago – you want to make people say “wow.” You want to give them something they haven’t seen before, something they’ve never thought of. You want to give something really useful. You want to make them FEEL something. Collectively, when you put all these factors together, then you’ve created something truly shareworthy. You know exactly what I’m talking about here, right? You see all sorts of videos and articles on blogs and via your social media newsfeeds every day. The vast majority of them you read or watch without giving them a second thought. But every once in a while you find something that makes you slow down, absorb EVERY bit of the content, and sort of forget about the rest of the world for a minute or two. Know what I mean? You find something that captivates you. And chances are, it captivates you because you’ve never seen it before. When your brain encounters something novel, it “lights up” the pleasure/reward center of the brain. And people want to share this sort of content, because it made them feel good… and they want others to feel good too. So that’s the first part of creating something shareworthy, which is discussed in more detail in the previous section. The second part of creating something shareworthy is to just be sure you’re offering something eye-catching, engaging and professional. You could create a video that shares the world’s most amazing secret in your niche. But if it’s a poorly produced video with a lot of “ums” and “ahs,” people aren’t going to watch. They’re going to get bored. They might judge the quality of your video as poor, and assume the quality of the content is poor too. That might not be fair, but it’s the reality. People aren’t going to waste time reading typo-riddled reports, watching unpolished videos, or consuming anything that doesn’t hold their interest. So, if you’re sharing content such as videos or reports, then be sure you’re creating something that’s engaging. Proof and polish. It’s a good idea to get a neutral third-party to do this, as we’re often too close to our work to spot our own errors. Hire a professional. If you sort of stink at writing, video production or a similar activity, then hand it over to a professional. Outsourcing is a great investment in your business. Use a friendly, conversational tone. Whether it’s an audio, video or text content, create it as if you’re talking to a friend. This light tone will make the content more engaging. Share relevant stories. Stories engage people, tug at their emotions, and make your content memorable. These are all very good qualities to have when you’re trying to hold peoples’ attention. Use humor. 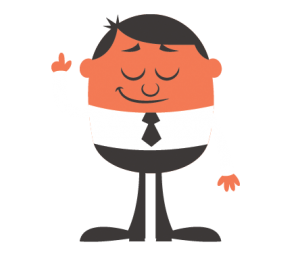 Do this sparingly, as your jokes may not be funny to your audience. 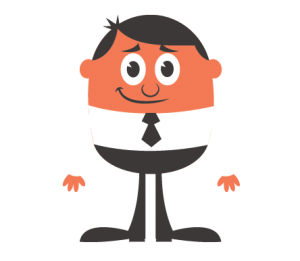 However, a few light jokes sprinkled into your content can help make it more engaging. Wow people right up front. Hit them with some of your best secrets or tips right in the beginning of the content to “hook” them, and then sprinkle more goodies all throughout your text, audio or video. Make content easy to read. If you’re creating text, then use short words, short sentences and short paragraphs. Use plenty of white space, as doing so makes it easier for your reader to consume your content. NOTE: This post is an example of creating content that’s easy to read. Take note of features such as this bulleted list, which is easier to read than a long paragraph or wall of text. One way to get more people to share your content is to simply ASK them to share it. Some people can see an amazing piece of content and it doesn’t even occur to them to share it. But if you ask them (or, more appropriately, tell them) to share it, they will. This is especially true if you give them a really good reason to share it. Now, think back to what you learned just a few moments ago about some of the reasons why people share content. People want to feel like a hero, they want to feel good by making others feel good, they want to feel superior, they want to be first. You can use these psychological triggers to get people talking about your products, services, content or business. Know someone who wants to [get some good result]? Share this with them now – they’ll love you for it! Everyone wants to be liked and loved, which is what makes this trigger so powerful. Be a hero to your friends by telling them about this video now! Notice how we specifically used the word “hero” in this call to action. Give your friends a good laugh by sharing this with them now. This hits the “feel good” trigger. Did you find this [uplifting/useful/etc.]? Then do me a favor and share this with your friends, because they’ll like it too! This one touches on a reciprocity trigger. It reminds people that they got a benefit, and in exchange you’d like them to do a favor for you (share it). Be the first to tell your friends – they’ll thank you for it! This hits that superiority trigger, where you encourage people to share now so that they can be the “first” among their friends to do so. I bet your friends have no clue – share this with them now! The idea here is that you encourage people to share so that the sharer will look smart and helpful to their friends. Incentivize them. That’s right, give them a little “bribe” to share it. Do that, and you’ve given your prospects and customers a good reason to share it. See, some people can read or watch something amazing, read or hear your call to action (along with a psychological trigger), and they still won’t share. So, you know what psychological trigger gets them going? Well, at a minimum, these folks just love freebies. Dangle something valuable in front of their face, and they’ll hit that share button so fast it will make your head spin. 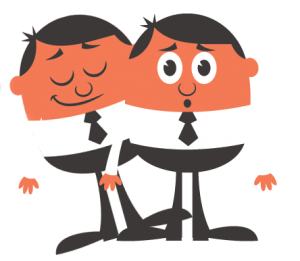 In some cases, you need to be tripping the “greed gland.” You’re offering something amazing in exchange for sharing. If the offer is big enough, you’re gonna get people figuratively drooling over your share buttons. In short, you’re telling people: you share this, and you’ll get something REALLY good in return. Now, what sort of things might you offer to your visitors to get them hitting the share button? A discount on a popular product. Again, no skimpy discounts here – give at least 25%, especially if this is a digital product. Bigger is even better. A popular product for free. Maybe for a limited time you giveaway one of your tripwire products or bonus products. Give away something that, until now, was only available to those who paid cash. Another freemium – video, ebook, access to a membership site, seat at a webinar, app, etc. A content upgrade – an enhanced version of the content they’re currently viewing. For example, if they’re looking at a blog post, you might offer .PDF or even a video. Any other enticing bit, such as an extra entry into a contest. Example 1: Get buzz about your product launch. Most people who come to your pre-launch sales pages look at them, maybe bookmark them, but they don’t share them with their friends. It just doesn’t occur to them to do so. It would be a real boon to your product launch if you could get your pre-launch visitors to share the information with their friends. 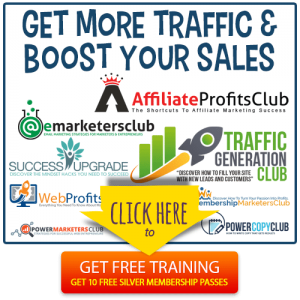 Not only would it give you a huge traffic boost, but you’d build your list more quickly than ever before! So how do you create this sort of referral traffic? Offer a coupon to anyone who shares the sales page (or pre-launch page, if applicable). Offer a related freemium to anyone who shares the sales page. For example, if you’re selling a video course, you might offer an excerpt (such as one module) for free. Example 2: Naturally spread the word about your contest. Now let’s imagine you’re building a mailing list through the use of a contest. People enter your contest, then they leave the contest page. You get one entrant at a time, all coming in from your own direct advertisements. Would your contest take off like a wildfire over dry tinder? You bet it would. People would be sharing your contest like crazy just for an extra chance or two to win. (Assuming you’ve got some awesome prizes in your contest.) And your list would grow exponentially with thousands of new folks. Example 3: Build your lists up to ten times more quickly. Typically, how do you build a list? You offer a lead magnet. You send traffic to your lead page. Subscribers sign up. Right? You offer a lead magnet. You send traffic to your lead page. Subscribers sign up. And then subscribers also tell their friends to sign up. How do you make something like this happen? Simple – you offer bonus product or content upgrade to any visitor or subscriber who shares your lead page with their friends. And once again, your list grows exponentially – without you putting any extra time or money into advertising! How Do You Offer These Incentives? Obviously, you want to automate the task. And while there are a few apps that will do some of what I described above, there is only one app that makes it easy for you to grow your list, get more traffic, and generate more sales using ALL of the examples above (and more). And that app is called PerkZilla. This amazing little web-based app (no download or installation needed) lets you offer everything from extra contest entries to discounts to products – or anything else you can think of – to people who share your content. You get to set how many referrals people need in order to unlock their rewards, so you can grow your traffic as quickly as you want. If you’re ready to start growing your lists, traffic and sales exponentially through the power of word of mouth marketing, then you’ll want to check out this app now at www.perkzilla.com. Don’t you think it’s time to stop dropping more time and money on ads that don’t work, and start harnessing the power of word-of-mouth marketing! 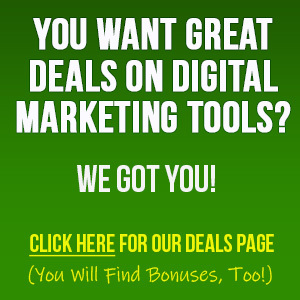 PreviousThree Biggest Problems Selling Digital Products…SOLVED!